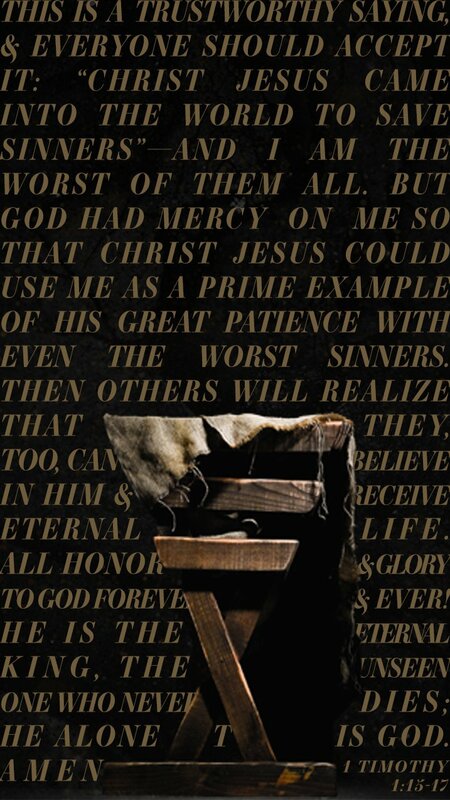 Bearing the shame of both humanity and an unsuspecting lineage, our eternal King, Savior, and Redeemer humbled himself to enter the world he had created. He embraces shame for greater glory to walk among us as a man. 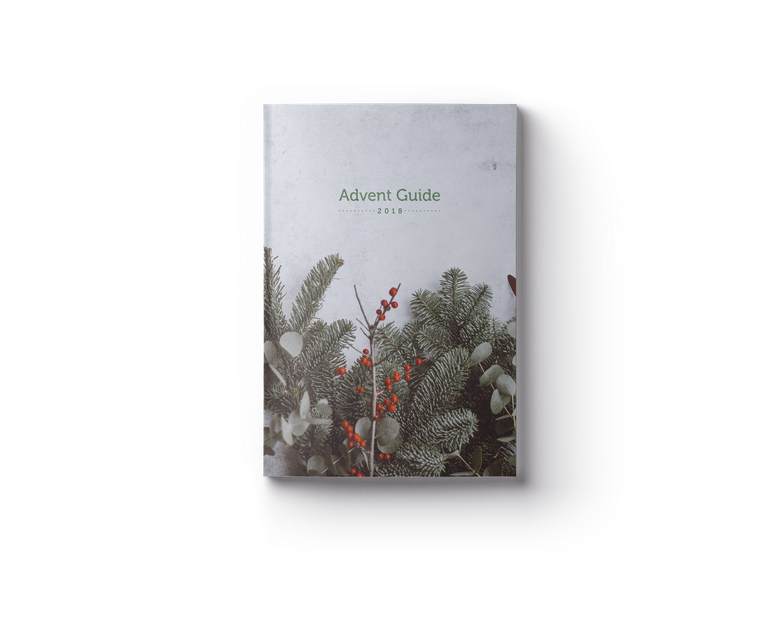 As another Christmas approaches, it can be tempting for us to try to rely on the sentiment of the season rather than the substance of who Jesus is. The reality is that God has come to us in Jesus, wrapped in a lineage filled with stories of shame. Although Jesus could have chosen any entry point into the world, he enters through the portal of shame, identifying with humanity so that we may know him. 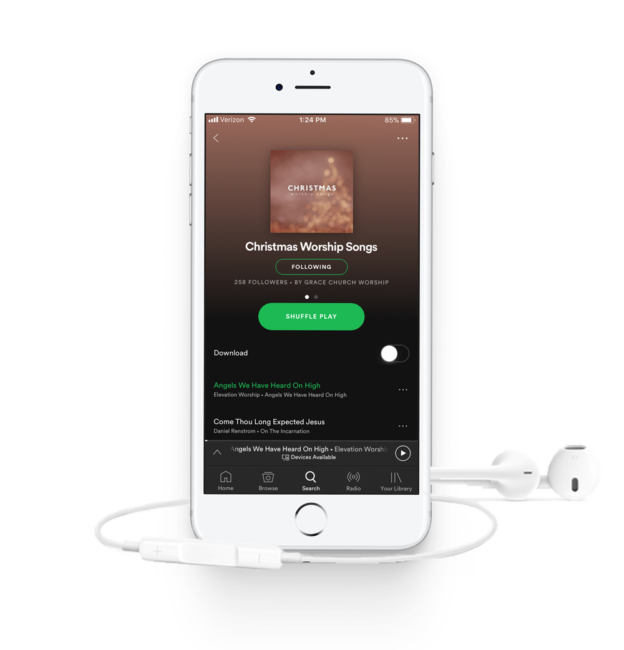 Although sentiment has nothing to do with the substance of what Christmas means for us as Christians, there are aspects of tradition that can help us reorient our hearts. What are some sentimental holiday traditions that you enjoy, and how might they either be healthy or become corrupted? In what ways might you rely on the sentiment of Christmas rather than the reality of Jesus? In the genealogy of Christ in Matthew 1, we notice that he chose his family lineage to include lives marked by brokenness and shame: Tamar, Rahab, Ruth, and Bathsheba. In light of these stories, how do you see that Jesus has met you in your own shame and failure? How have you already seen him working in and redeeming your shame story? What are some ways that our church can become a place that welcomes the hurting and broken? Bill identified two groups of people in our church: those of us needing to acknowledge and expose our shame, and those of us living on the surface of sentimentality. To truly know Jesus as our prophet, priest, and king, we have to acknowledge our shame and brokenness and not hide it from God or others. What is a specific step you can take to move out of hiding and begin sharing your story with someone? How might you need to be exposed to bring about transformation in your life? If you are living on the surface of sentimentality and everything is going well for you, you might be worshiping comfort and missing the reality of Jesus. 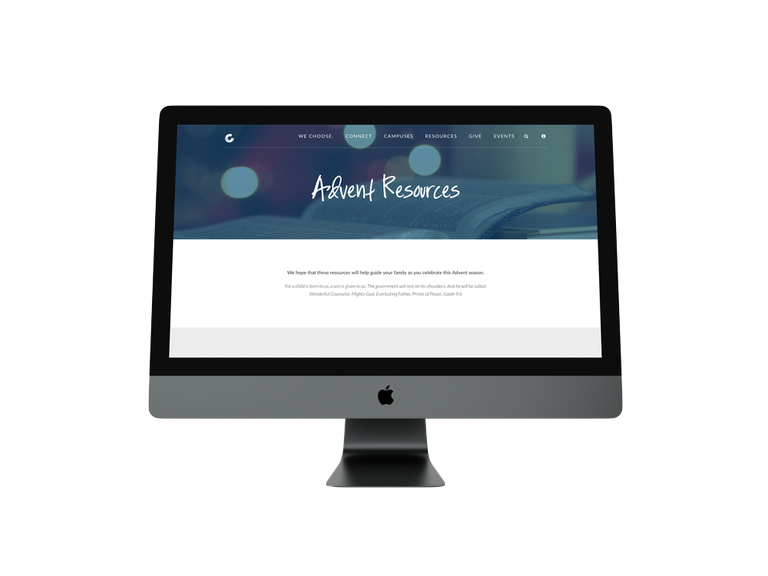 What are some ways that you can add more substance to this Advent season that will help capture your imagination and lead you to worship and celebrate Immanuel—God with us—in a more meaningful way? How can you find Jesus to be real to you even while things are going well? At the root of what he is doing in the world, God wraps his own glory in our shame. 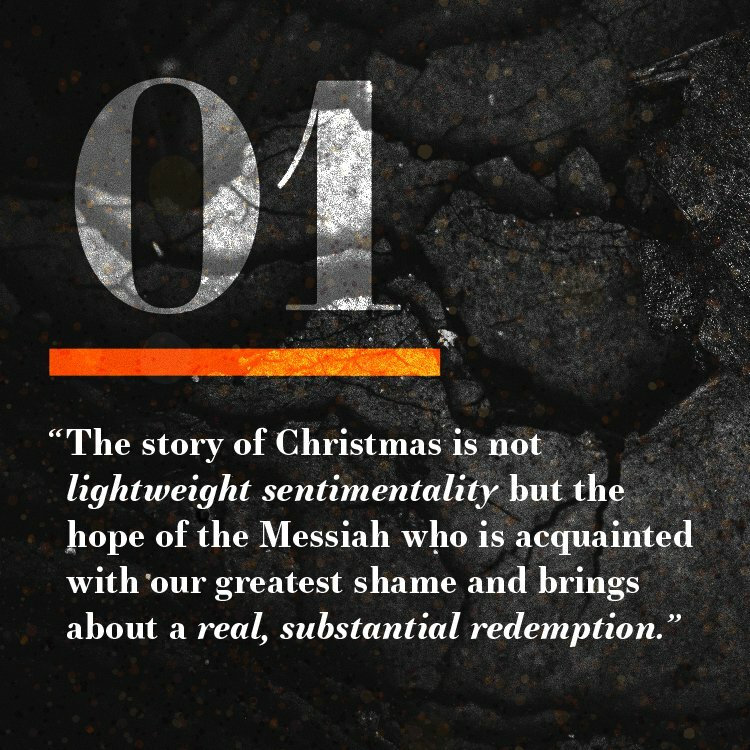 The story of Christmas is not lightweight sentimentality but instead real, substantial redemption that takes into account all of our brokenness. Yahweh is working through our most shame-filled failures to accomplish his purposes. As we encounter the brokenness and messy circumstances of this world, at some point, sentiment is not enough. When we are tested, we will want to have already cultivated and developed an imagination that is robust enough to lay hold of the substance of who God is. Only then will we be able to declare that he is our Immanuel and that hope has already come to us—the hope that is sufficient for every circumstance we will ever encounter, every loss that we will ever endure, every injustice and loss of reputation that will ever come our way, and every shame ever put on us. In these four stories of Tamar, Ruth, Bathsheba, and Rahab, God works through those who are outside, victimized, powerless, and broken to bring about his rule and reign on this earth. We do not have a romantic, heroic story in Jesus that is detached from reality; we have a gritty story that can stand up to robust scrutiny. Check out our reading plan, and subscribe for daily Scripture readings sent directly to your inbox. Our King chooses to come to us through Mary, a young woman entirely surrendered to the will of God. Mary foregoes her own comfort to embrace what God has for her; even without all the answers and potentially facing the destruction of her own reputation and betrothal, she responds with, “I am the Lord’s servant. May everything you have said about me come true” (Luke 1:38). Think through what it would be like to be Mary. Through obeying God and following him, she is now going to be made an outcast; even while carrying our Savior, she will undergo ridicule and hardship. How do you think you would respond if these circumstances were given to you? What is a time in your life when you had to take on shame or ridicule because of following Jesus? 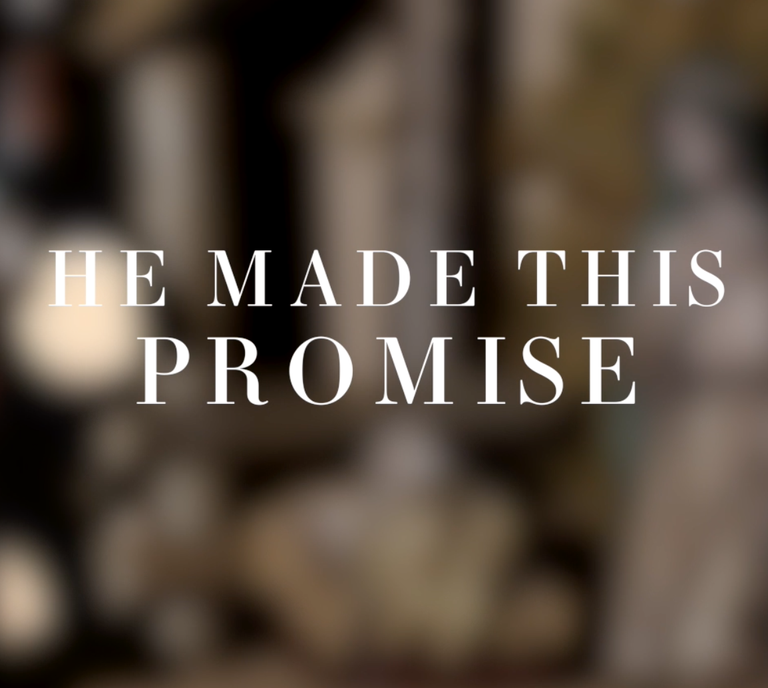 Mary is surrendered to the set of circumstances that God has given to her, even if it means losing her future husband—the one thing she has in this world. The comfort and stability he would bring to her life is not more important to her than what God is doing. How might this apply to you? How can you, too, look past the short-term consequences of something in your life to how it might bring God glory? When Mary walks in the door to see Elizabeth, she immediately receives confirmation and affirmation from Elizabeth instead of jealousy and strife. What does this reveal to us about community? How can you enter in to another’s life and meet them with encouragement and affirmation instead of tension or jealousy? 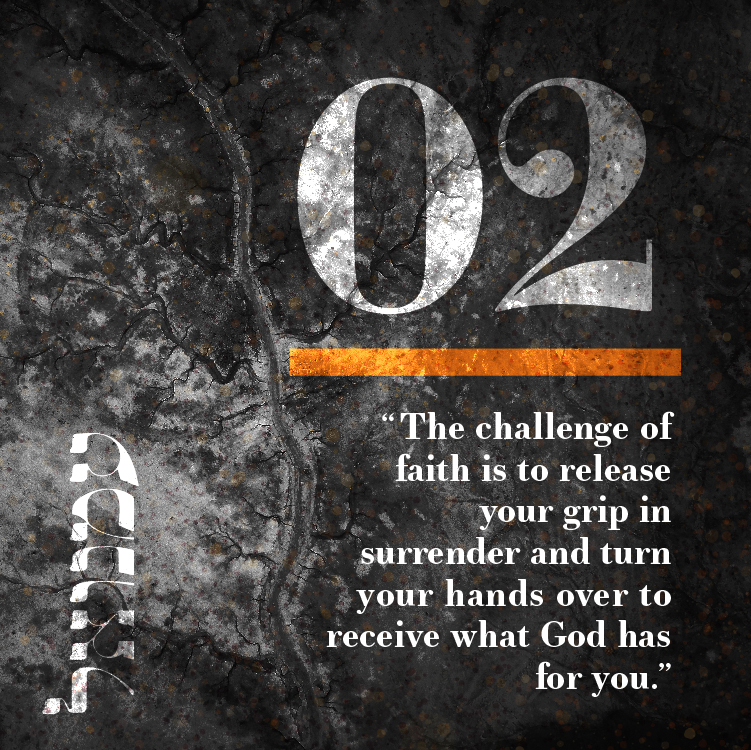 If your hands are wrapped around something or someone with a white-knuckled grip, this story challenges you to release your fingers and turn your hands over to God in surrender. Do you have the same kind of surrender as Mary? What or who are you having a hard time surrendering? When the angel appears to Mary and tells her that she will have a son, he tells of Jesus, assuring that he will be our Savior, the Son of the most High, very great, given the throne of David, chosen to reign over Israel forever, and the King of a kingdom that will never end (Luke 1:31-33). By being born of the Spirit and not from the line of Adam, Jesus is free of the sin nature that brings judgment and condemnation as a man. He is the only man in whom a sin nature does not dwell, making him the only man capable of paying the price for our freedom and salvation. Mary’s betrothal would be the key for her prosperity, comfort, and stability in this world. The one thing she has is getting taken away, yet she embraces, welcomes, and surrenders to the set of circumstances that God gives her. The Magnificat is a reflective celebration that comes from Mary’s soul. If you are not a Christian, reflect on this idea that the Christmas story is about God coming to embrace your guilt and your shame. In our culture, we have cleaned up Jesus so much that we don't recognize him. Read this passage again, considering how Jesus chose to come to this world, and meet him for who he truly is. Joseph, a humble and righteous man, embraces the shame of his unborn son to obey the plans that the Father has laid out for him. He allows his own comfortable life plans to be disrupted for the sake of being a part of what God is doing in the world to save his people. Bill points out that Joseph could have publicly shamed Mary when he found out she was pregnant, but instead started to handle a divorce quietly. How might you apply this to your life? Is there a situation or wound in your life now where you could exercise humility instead of gaining vindication for yourself? In Matthew 1:20, the angel says to Joseph, “do not be afraid to take Mary as your wife.” If you’re going to be used by God, there will be a time when you’re going to be afraid. There will be a time when, like Joseph, you’re going to have to risk; you may be concerned with protecting your reputation or maintaining your dreams of a simpler life or of comfort. Where are you afraid? Where in your life do you need to hear the words, “do not be afraid”? What dreams or comforts are you clinging to? God placed an opportunity in front of Joseph where it was clear that his entire life would be disrupted in some significant ways. How has following Jesus disrupted your home, finances, security, reputation, and comfort? In what area of your life do you need to just obey and put your life in God’s hands as Joseph did? In your places of pain and brokenness, God is not absent. Your great hope in life is in the things that disrupt your plans and that inflict the most pain on you. It’s not that God loves you but couldn’t do anything about it—it’s that God was there in it. Share an example from your life where you’ve seen the hope that has resulted from disruption. How have you processed the reality that God was in that disruption, permitting it for your good and his glory? Mary belonged to God before she was Joseph’s wife. Joseph might have felt like he deserved a better explanation, but the reality is that God chose Mary and claimed her as his own, and she belongs to him. Who are you treating as if they belong to you? Who do you need to entrust to God today? God is going to constantly put something in front of us where we have to decide: Am I going to protect my comfort, desires, and plans for my life, or am I going to step into what God has for me? If you are a parent, your children will know that Jesus is powerful and worth sacrificing for by growing up in a home where they see their parents sacrificing for other people, and they watch others' lives be changed by it. To Joseph, this situation looks like a great tragedy—like one of the biggest wounds that could ever be inflicted on a man. He thinks it’s because of Mary’s sin, but the reality is: God did this. God is in every detail and every moment, working out his plan. In the same way as Joseph, we can trust that God is working. Just like Joseph, we are a part of what God is doing in the world—saving his people. We have to willingly choose to deny ourselves something (even desires that might be “good”) and sacrifice in order to be a part of life change in others. God will use every means to accomplish his purposes, and we are a part of the means. 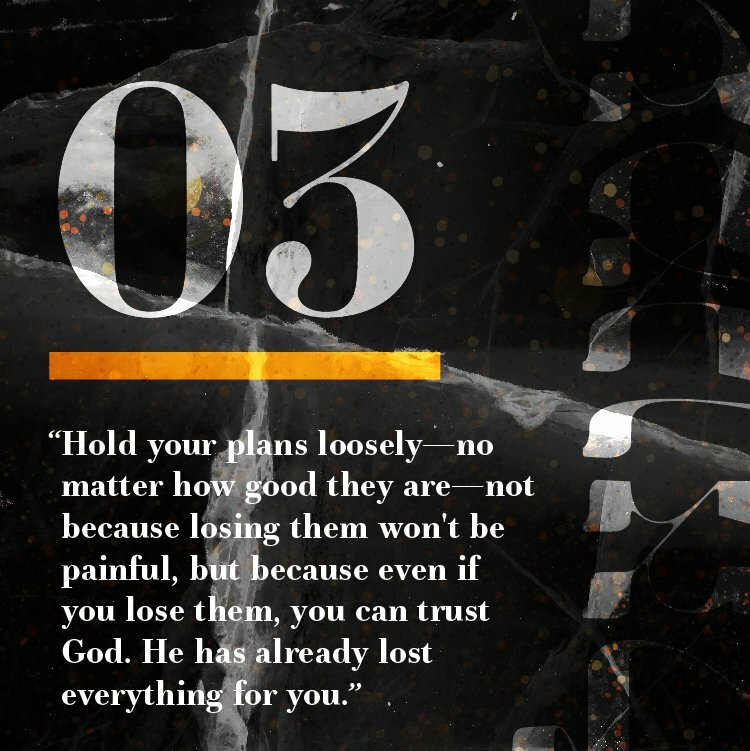 Hold your plans loosely—no matter how good they are or how much you feel like you can justify them—not because losing them won't be painful, but because even if you lose them, you can trust him. He has already lost everything for you. For King Herod and even many people of Jerusalem, the birth of the Messiah is a threat—to them, a new King is in daunting competition with their control or comfort. To the Magi, who seem to be on the “outside”, Jesus is freedom and joy. How can those on the “outside” receive Jesus as King while those on the “inside” reject him? From the very beginning of Jesus’ life on earth, the coming of the Magi tells the story of those on the outside, who don’t “belong”, being used as part of God’s story. How have you felt like you don’t belong? 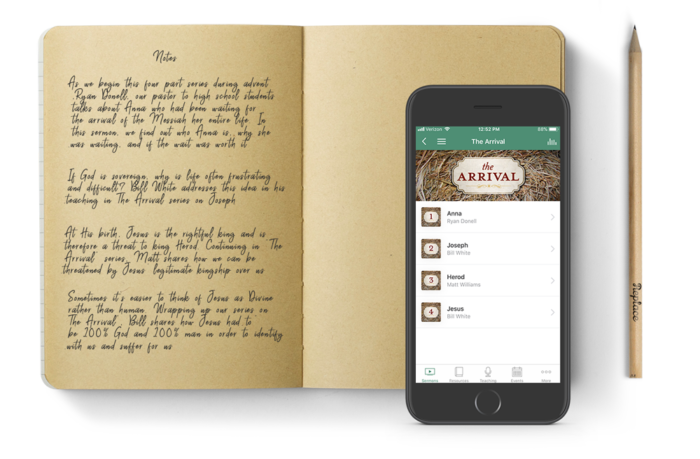 What do the gospel and the birth of Jesus tell you about belonging and who you belong to? Matt mentions that we, like Jerusalem, often feel threatened by the idea of a King over our lives. Instead, we tend to want a genie who will give us what we want. How does Jesus as King either comfort or threaten you? Like Matt’s story of being young and wanting to be in control, when in your life have you wanted to maintain control instead of surrendering to Jesus’ reign over your life? What or how can you surrender to him today? The gifts of the Magi are offered to Jesus in validation of his value and glory. Jesus doesn’t need the gifts, but the idea of worship is to deplete ourselves of our riches and self in recognition that they belong to God first. In what ways can we express this worship? What is one act of worship that you need to lean into this week? This season for us can be a season of renewal. How are you living a life that is worthy of what God is calling you to? Is there something in your life that you are hiding or where you might be living in a way that is dishonorable? To whom are you going to confess? If there is something you know God wants you to do that you are hiding from or being resistant to, what is it? If you are not a Christian, how might you be relying on your own goodness to be in right standing with God? Are you willing to abandon your goodness and recognize that Jesus’ death covers your sins? 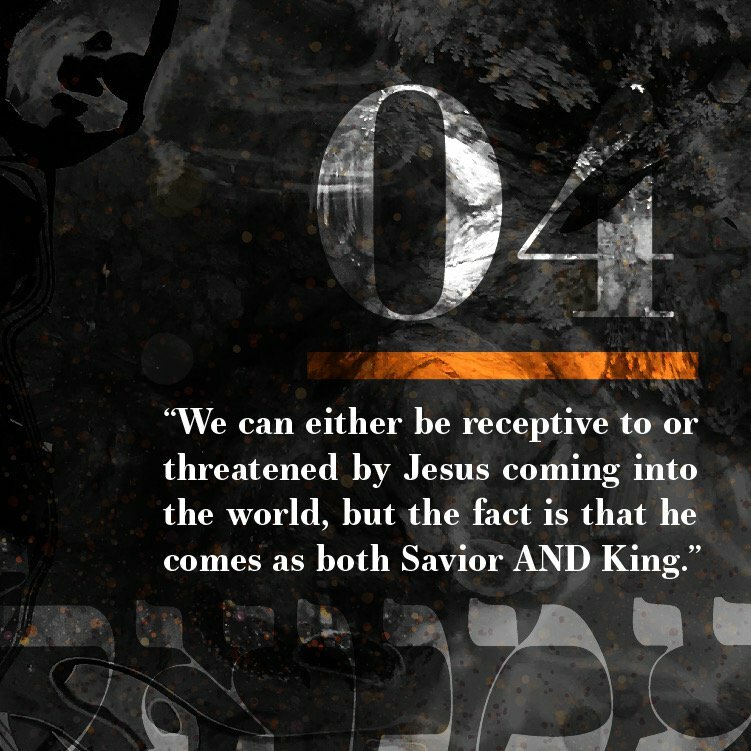 Jesus did and is coming into the world as both Savior and King—but is he coming into your world?